In 2017 Business Wire estimated that the animated industry was worth over US$400 billion. In conjunction with this the African creative economy has had an increased interest and investment in the animated sector. South Africa is currently leading with the success of animated studios as seen from studios such as Luma, STRIKA entertainment to name a few. There has also been a sprout of studios in Zimbabwe with Nafuna TV and Mak Animation, in Egypt with Deadline Studios, Nigerian based Sporedust and Fatboy animations in Nairobi which are contributing to the creation of African animated content. The African animated sector has seen a growth of start-ups specialising in comics, motion pictures and the gaming sector. Governments have taken note of the potential within this sector. At the 7th African digital TV development meeting in 2017, the Nigerian minster of information and culture Alhaji Lai Mohammed expressed how the Nigerian government would prioritise the development of its animation and creative industries into new growth sector. Thus far Nigeria has seen the creation of N-Power creative, which is a job creation and empowerment initiative. 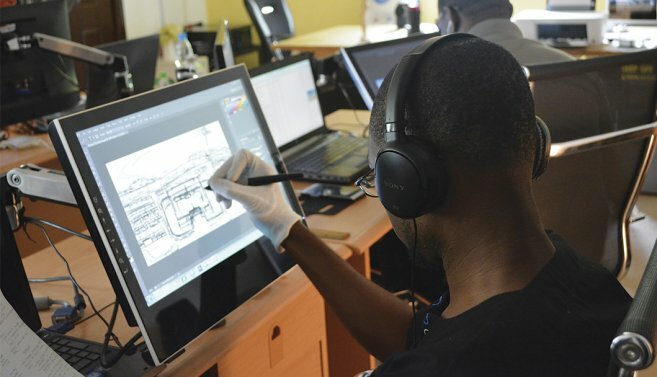 Which will give young Nigerians the creative and technology skills to create animation, graphic illustrations, film scripts, and comics and post production. The government plans to create a workforce of 1500 creative professionals through 2017-2018 and boost this to 7500 by the end of 2020. Animated Africa looks at the various sectors in the animated industry creating ripples in the growth of the Africa creative economy. The success of animated movie Khumba by South African animated studio saw the film win best story telling award at the Shanghai international film festival. In this regard the motion picture sector is creating more African based content and creating TV shows for African audience. Start-ups are creating shows that educate, entertain and preserve elements of language and culture in Africa. Shows such as the Tanzanian Ubongo promote maths and science for kids. The show is broadcasted in Tanzania, Kenya, Uganda, Rwanda and Ghana. Children can use basic mobile phones to answer multiple choice questions via sms and receive feedback from their favourite character. Nigerian start –up Nicamedia aims to prevent the extinction of languages in Africa. The UNESCO stated the over 27 African languages have gone into extinction. Nicamedia is preserving African heritage, diverse culture and language through African inspired cartoon. African inspired motion pictures are also tackling representation of Africans within children’s cartoons. Mama K’s Super 4 is a show based on four black girls in Lusaka who are recruited by former agent Mama K to save the world. The show is aimed at 6 – 11 year olds. The show has two global distribution deals. The African comic sector has seen a creation of African inspired super heroes saving various spiritual universes. 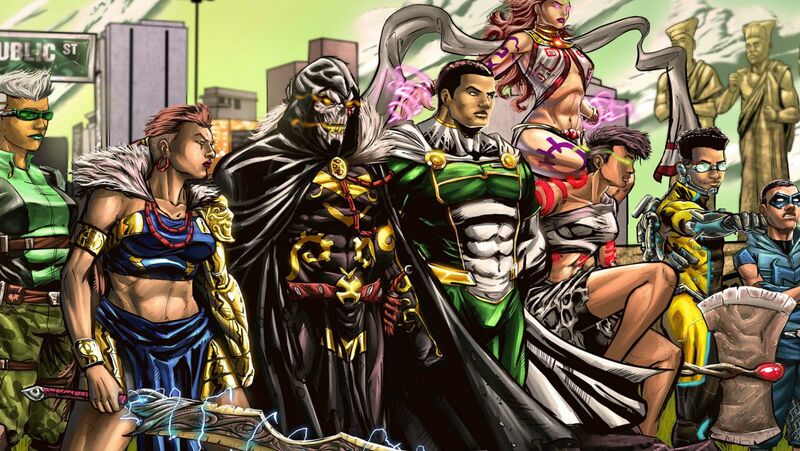 The spiritual universe created by Nigerian company Vortex Inc produces a culture in comics that reflects people and myths of Africa. Comics such as The Legend of Wale Williams leads the reader into the future, by imaging Lagos in 2025. This further highlights continental goal of animation start –ups aim for representation within the creative sector. 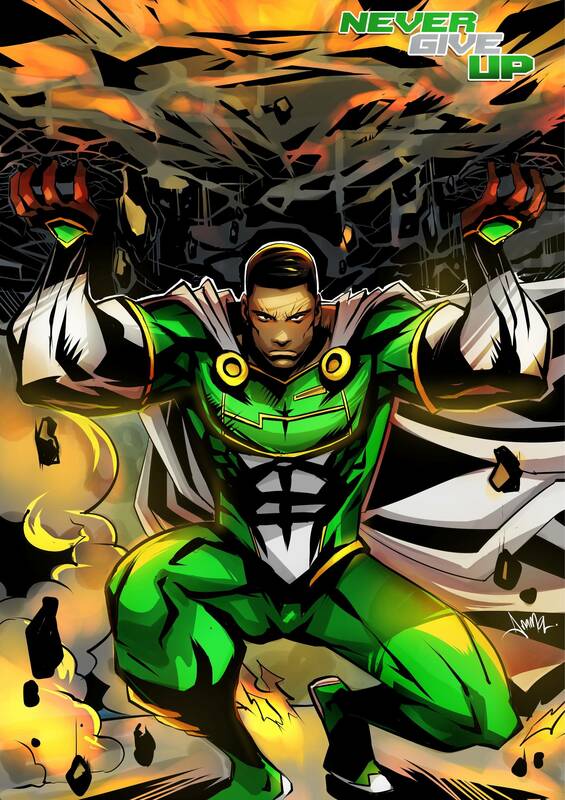 Start-ups such as Comic Republic have a range of super hero themes content that represents elements of African cultures and people. Comics such as Guardian Prime, Superman – style champion and hero’s dubbed ‘The African Avengers’ have been created by them. The African comic sector has set various platforms such as Lagos Comic Con which has a growing audience base and attendance from international guest Valiant comics in 2017. Fan Con in Cape Town, South Africa and Icon in Johannesburg have also created space to embrace the growth of the comic sector in Africa. The gaming sector is one of the leading sectors within Animated Africa. The sector has seen a vast pop up of start-ups creating games and challenges that relate to the African audience. In 2017 Africa’s first international multiplayer video tournament was held at Nairobi’s Sarit Centre. The event saw a total of 16 PC console gaming teams from Kenya, Uganda and Rwanda. The gaming sector has seen a growth in the content production with the rise of gaming studios in Cameroon, Kenya, Moroco and Ghana. Studio’s such as Kuluya.com founded in Lagos which produces cross platform games with African characters. There are also video games that are created to educate the audience on African mythology as seen with the Nigerian mobile game Thrones of Gods and the Cameroon game Kiro. The Kiro game is said to be the first game with an African themed role playing feature. While games such as the South African UmAfrica challenge the audience to explore the continent. UmAfrica has the player take on the role as a photo journalist on an exploration mission in various parts of Africa. The player is scored on the time they take to complete the mission. With the growth of animation in Africa, organisations are creating platforms that allow for creatives to showcase their work and promote African content to the African audience. Co-created by South Africa animation studio Triggerfish, The Story Lab is a competition which aims to develop African stories by Africans. The Nairobi Comci Con in partnership with organisations such as African Animation Network launched East Africa’s first animation pitching competition in 2017. 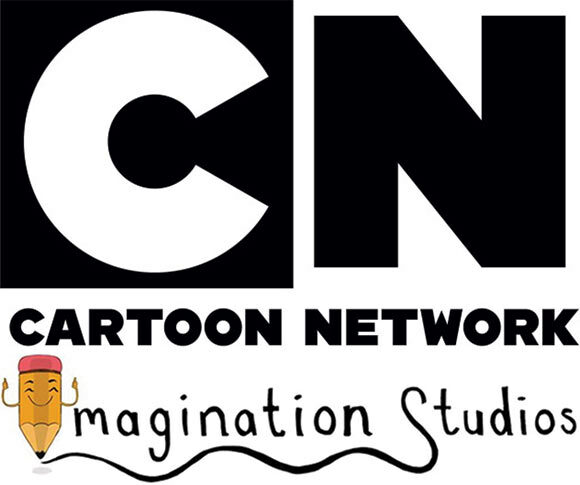 Another company working with African talent is Cartoon Network Africa. The company imagination studio was created to inspire, motivate and celebrate the imagination of children. Children are encouraged to create their favourite animated duo and the winners would get to see their favourite creation on TV across Africa. This would also see Cartoon Network Africa collaborate with African copy writers, post production and audio creation to produce one-minute shorts of the winning work. Animated Africa is seeing much growth however challenges of funding and building an African audience that will push African animation to pertain a good percentage of the billion dollar sector will still require work and investment. Platforms such as Kugali curates and showcases the best African comics. The aim is to help the global lovers of comics discover African comics. The company plans to expand their scope to gaming and animation. As companies continue to produce African themed animation, sectors such as film, TV and even mobile entertainment will need to create better channels for African inspired animated content to be easily accessed to assist in the growth of the sector.